Adrienne Russell is Associate Professor of Digital Media Studies at University of Denver. "In this concise overview, Russell complicates the 'narrative of decline' of traditional news journalism, and celebrates the neo-situationist 'détournements' of what she terms 'fake news' producers such as the Daily Show and the Yes Men." "Networked hits the mark...Russell has spoken to and learned from those who are pioneering new journalism practices. She seeks to understand, not to damn. Networked is a great piece of modern scholarship. It reveals much about new types of news and new pathways to democratic engagement. It is an enriching and eloquent book by a writer with a sparkling style and an equally effervescent intellect, and I shall recommend it highly to my students and colleagues." "This short book will be an interesting read for journalists and non-journalists alike, though possibly for different reasons. Most journalists will already have an opinion on the matter, so to them the book will be useful to confirm opinion or sharpen arguments. For the rest, it is a good starting point for forming an opinion on the future of journalism and the news." "This timely and thought-provoking book hands us the tools for understanding the key ways in which journalism is changing in today's new media landscape. Combining careful theoretical and historical analysis with discussion of contemporary examples of innovative newsmaking, Russell presents a vision for how journalism can not only survive but thrive in the digital age." 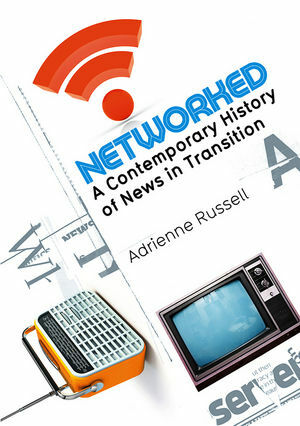 "In this broad and probing examination of journalism as it has changed in the last two decades, Adrienne Russell offers a genuinely original - and an intellectually enriching - account of new forms of news and new opportunities for democratic engagement. This book matters." A compelling account of the death and life of contemporary journalism. Examines the transition to a networked form of news by placing journalism today in historical perspective. Written in a very readable and accessible style, while still presenting sophisticated scholarship. Deals with a topic which is of great interest and concern at the present in an even-handed way. Draws on first hand interviews with journalists key to the shift.